Well done Kerry de Courcy and HOTCATS. The Rye & District Hotel and Caterers Association have stepped in to salvage the Heritage and T.I.C. Centre after Rother District Council reneged on an agreement at the eleventh hour. 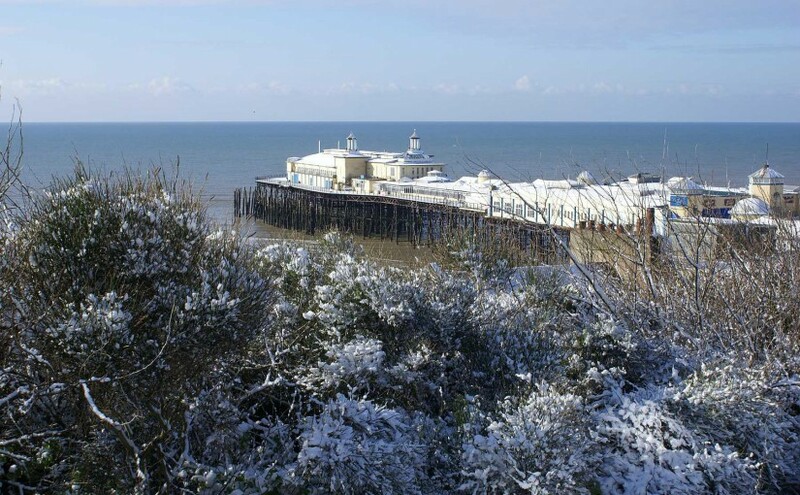 When Rother reduced its agreed £50,000 grant to Rye Council to £30,000, an amount deemed not sufficient to run the T.I.C. for the next year, it seemed that the Tourism side of things at the Heritage Centre would not have continued after April 1. Now HOTCATS Chairman Kerry de Courcy has announced that they have formed a new company, Rye Town Services Ltd. and are in consultation with Rother who are releasing the £30,000 grant to them. Share capital will be provided by HOTCATS members and in effect, the new company will be running the T.I.C. on behalf of Rother and the Heritage Centre on behalf of Rye Town Council. This move will ensure the security of the Heritage Centre staff who have been worried about their future. Well done to all concerned, if Rye had lost the T.I.C. it may have been gone forever. Now we have the right people from Rye controlling the tourism sector, the future of this small town is tied inextricably to the tourist industry and many livelihoods and Rye businesses depend both directly and also on the off-shoots of what has become a multi-million pound trade for this town of just 5,000 souls. A letter has been sent out by Keith Glazier the new Chairman of Rye Partnership addressed individually to all Directors, Members, Working Groups and Staff. Headed Protocol for Press Releases, Publicity for The Rye Partnership. It informs them that they must submit all press releases to the Directors via Brenda Chester for discussion and approval and that press releases should not be issued unilaterally. How do I know about this directive? I had one sent to me as the Rye Neighbourhood Watch E-Mail Co-ordinator! This is the first time I have had any hint that Neighbourhood Watch came under the jurisdiction of Rye Partnership. As the local ‘Electronic’ Neighbourhood Watch co-ordinator my job, which is entirely voluntary, is to forward police messages and reports on local incidents via computer e-mails to around 100 Rye members. Members can respond with information on any incident either through me or directly to the police quoting the incident number that comes with every report. To my knowledge the Rye Neighbourhood Electronic Watch has no connection with Rye Partnership and so should not have been sent this very intriguing letter. I do worry about its implications though. Our Town Council is represented on the Partnership by three councillors, two of them Geoff Lyus and David Russel are Directors of the Partnership and the other, Frank Palmer would be counted as a member. Does this mean that any comment that they have to make about the Partnership to the local press has to be vetted before it can be published? The same would apply to Sarah Nixon the Chairman of the Rye Chamber of Commerce who is another Director. Who comes first, the Chamber or the Partnership? The Partnership, according to outgoing Chairman Peter Jones, has been criticised over the past year by a group of people who have got their facts wrong. Surely, the way to encourage trust with the community the Partnership claim to serve is to be more open. Censorship will not help the cause. Yolanda Laybourne the Town Manager sets an example that perhaps the Partnership leaders should follow. Her honest and straightforward approach, in what is a very difficult job, has earned her many friends around the town and I have yet to hear a single person claim that they do not trust her. 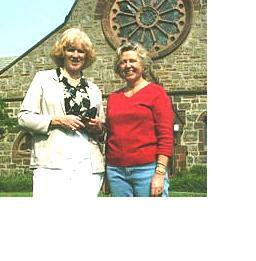 The Partnership should seek closer ties with Rye Town Council. Let the elected body have more say in proceedings. The ideal situation would be for the Council to lay the plans and The Partnership to find the cash. The compaign for a Democratic Rye. It is a great privilege to be asked to address the Town Council here in Rye Town Hall, and let me express my gratitude to all of you for allowing me to talk for a few minutes about the future of our town. My wife and I had known Rye, long before we settled here ten years ago, although perhaps that strictly speaking does not make us “Ryers” whatever that term really means. But I do not want to spend time discussing the past. All of us are exceedingly concerned about the present and the future. You will not want me to reiterate our collective problems in detail yet again. All small market towns in Britain share them. There is the constant expansion of road traffic, the threats from developers, the population pressures of the South East, and the threats to small shops. In Rye, however, there are special problems. It is one of the best preserved medieval towns in Britain. It is consequently a tourist centre of great importance; keeping it this way, and retaining its commercial viability is an immense challenge. The way in which it is governed, and how the public gives its consent to its government is essential to its conservation, and this is to do with the expression of local power. It is summed up in the question first posed some two or three years ago by my colleague, David Bourne, who sent a letter to the local newspaper, entitled “WHO RUNS RYE”. And, yes indeed, who does run this town? Ordinary citizens have I am afraid, surprisingly little say in what goes on here. The same goes for the Town Council, as recent events have shown only too well. Apart from central government by any party, there are several other governing bodies which directly impinge on the way in which we live. Much of the government is directed by those remote and mysterious animals called “Quangos”. These are the sort of beasts that could easily have been conjured up by Edward Lear in his nonsense poetry. However they are a much more unpleasant reality. According to the Oxford Dictionary, they are defined as follows: “A quasi-autonomous nongovernmental organisation”. It goes on to say that these beasts are appointed and financed by the government or its agents. They are not elected. Obvious examples are the Primary Care Trusts which oversee health matters locally, the Rye Partnership, and on a much bigger, scale the Regional Assembly and its associated committees in Guildford. First a further word about Regional Government. The South East Region covers a colossal area from Oxfordshire to the Isle of Wight, and from Berkshire across to Kent. It includes Sussex; Rye forms a very tiny fragment of this. There is an Assembly consisting of councillors, business men and representatives from voluntary groups, who are not elected. A development called SEEDA (South East England Development Agency) administers money from this. This had an annual budget of £130 Million in 2003. It gives funds for example to the Rye Partnership. These funds are derived from central government and the EU. The Regional government at Guildford frequently advises ministers about where housing should be built or new roads placed. Money of course gives it power. The sums involved are very great. Most citizens are very ignorant of this new form of regional government, and apart from occasional surveys the public has little input into it. Next the Rye Partnership. I shall say little about this. Its purpose and its problems were well set out just last week, at a large gathering, by Mr. Jones, the outgoing Chairman. Suffice it to say for our purposes it is again an unelected body dealing with a large budget £10,000,000 has passed through its hands, since its inception. Next I come to the District Council at Rother, an organisation for which there seems to be some antipathy at the local level. Although it is elected, our two local representatives seem to have little to say in its deliberations, particularly on account of the cabinet system which it employs. 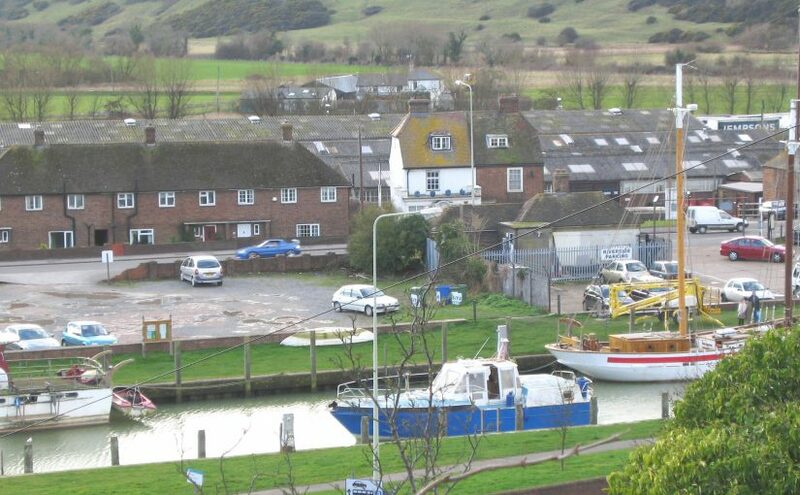 Moreover, the Town Council at Rye can only act as an advisory body to the District. Frequently, its advise is not heeded, whether its over toilets, tourist information centres or the conversion of our library to housing. There has been as you all know, a steady loss of civic power from Rye for over two centuries, culminating in the loss of nearly all the Town Council’s remaining functions to Rother following local government reorganisation in the 1970’s. In our view it is a scandal that Rye has no representative on the Rother Planning Committee. All these factors taken together made a group of us decide that something must be done if Rye is to be saved at all for posterity. 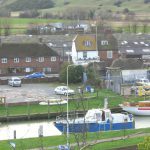 After a number of discussions, it was decided to launch a new group – the Campaign for a Democratic Rye, in early December at a public meeting with the principle aim of restoring full democratic power to the Town Council. An interim committee was established to begin looking at the problem. There has been considerable support for the new group within Rye. However, we are by no means a lone voice. The new Chairman of East Sussex County Council has openly voiced her criticism of the continuing loss of powers by councils to unelected bodies. To some, of course the quest for local democracy and greater autonomy will remain as elusive as that mythical “pie in the sky” which is never quite obtainable. But to others, the present difficulties which Rye faces offer a real stimulus for effective change. A few changes might be achieved by negotiation with Rother, as has been already suggested. In addition, the town could qualify for quality town status. In the view of many of us, much more drastic change here is essential for the town to achieve real autonomy. What can be achieved on a practical basis and how might the change be funded? Before a study group has been set up, it is much too early to examine the details. However, broadly we would seek objectives such as greater control in planning, more responsibility for policing, as well as specialist tourist services. New relationships would need to be worked out at both the County and Regional levels, but as such a kind that Rye had a real say in its local government. I do not share the gloom that no money is available for a large measure of our independence. 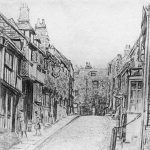 Rye attracts very large numbers of visitors on account of its historical, artistic and literary activities, let alone as a market town. It is a great national asset. Indeed, as we have suggested elsewhere, it ought to be treated as a very special case by governments. If government agencies are dealing with hundreds of millions annually, surely sums for running Rye could be made available in the national interest. We therefore wish to set up a working party as soon as possible to look at the feasibility of a much greater degree of autonomy for our town. This would need to be broadly based and to have on it representation from the Town Council as well as from our own group. Someone, such as, the Chamber of Commerce should represent business interests in the town. We will need experts in local government and I have already been given some names if we were to adopt this path. In due course a report would be issued and of course given back to you, the Town Council to approve or reject. Our group is determined to go ahead with the study. We very much hope that some members of the Council might join us, in what we believe should be a new start in Rye. It might at last enable the people to have a proper say in how the town is run. I visited Rye New York in the Summer, and was warmly welcomed by their Town Manager Michael Genito, and Councillors Roz Larr and Jerry Seitz, and Chamber of Commerce President Sally Wright.